Shopping at Goodwill stores is about the thrill of the hunt. Each store sells a wide variety of new to gently-used clothing, household items, furniture, books and toys at affordable prices. 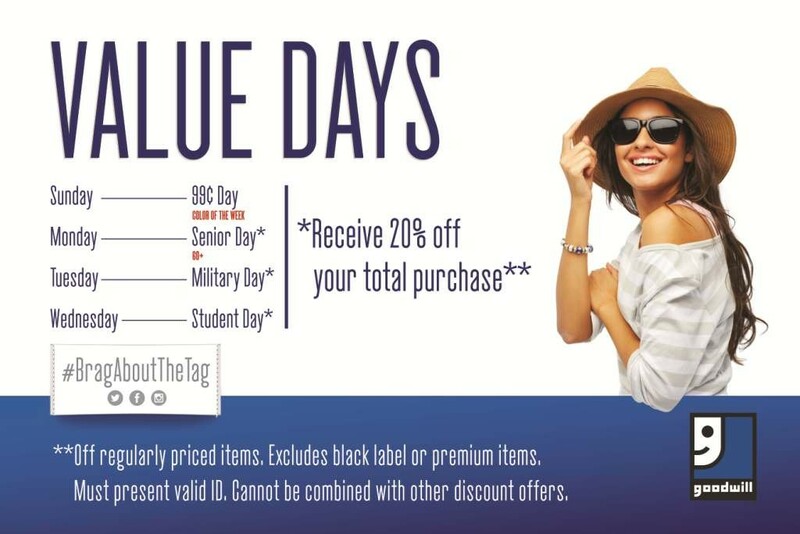 All merchandise is organized by department (women’s, men’s, children, furniture, shoes) and clothing is sorted by color for easy browsing and shopping. Thousands of items added to Goodwill’s sales floor daily. So, if you see something you like, buy it while you can – it may not be there when you come back. 1765 E. Ruben Torres Sr. Blvd. 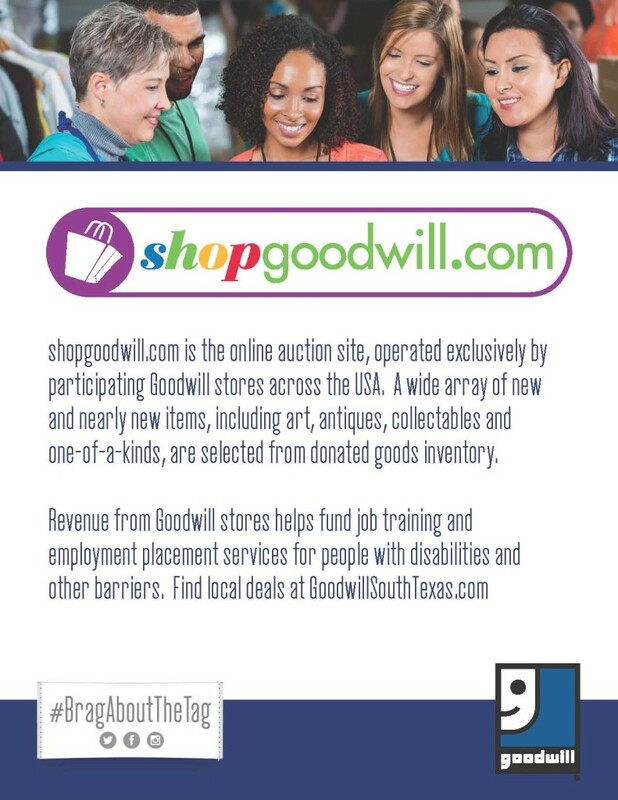 Shopgoodwill.com is an internet auction site featuring products from Goodwill.